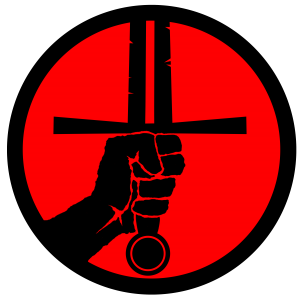 I am a Historical European Martial Arts (HEMA) practitioner living in the West of Ireland. I started studying HEMA in 2013 with a beginners course in German Longsword. This six week process left me wanting to do do more so I continued attending club nights with the ISHC in County Galway. I trained with the ISHC for four years and in 2017 started a spin-off group in Feakle, County Clare. We call ourselves the East Clare Sparring group when we practice but for the purposes of competition we are officially known as the Wrathful Peasants! We even have t-shirts and patches of our very own. HEMA is a hobby that appeals to me on many levels, the first is the physical practice of the skills themselves; sweating it out to learn new techniques and apply them in sparring situations, next is the more academic aspect; reading historical texts and trying to figure out what they are trying to explain about the art and lastly but by no means least is the the community of interesting like minded people around the world who share my passion. In 2016 I entered the Irish Historical Fencing League (IHFL), I found the experience of travelling to the various other clubs in Ireland to be enjoyable socially but also an excellent way to improve as a fencer and to strengthen the the community of practitioners around the island. In 2017 I managed to place 5th overall so I managed to do better than my 8th place in 2016. This blog will cover my experiences in the League and my musings on HEMA in general. at this time ( i.e., absolute beginners)? I’m not driving and out on the lake near Whitegate anyway, so may not be the most promising attendee but hope lives still! We do of course cater for total beginners. When we have the numbers we run introductory classes. We also do individual instruction on our limb nights if we don’t have enough. Our main styles are Longsword and Military Sabre. Let us know if you can get down and we’ll see what can be done. Almost needless to say it’s best off you can get down for a few weeks in a row as otherwise we have to keep repeating the basics over and over; which can be a bit tedious. Apologies hadnt seen a reply until today! What are the nights in question? *Is* there currently a gang of Abs Begs in the house? that i may be better (more strategically accurate) in terms of manifesting transport. Cheers! Hi Bia Beo! Happy New Year! The Wrathful Peasants are recruiting! We are offering an 8 week introductory course that will teach you all you need to fight with a longsword and to join us in our love of Historical Fencing. The venue is Feakle Community Hall, 7.30pm on Mondays starting on January 28th. Each session lasts for an hour and a half. We want to build our club and so we are offering the whole course for a frankly ridiculous €80! https://www.facebook.com/groups/1565697756813893/ if you like/follow the page you can contact us easily as far as I know. Monday nights from 7.30 to 9.30 are our standard sessions. At the moment there are no ‘abs begs’ we have a couple of people who have expressed interest but we need a kind of critical mass (about 4/6 DEFINITE attendees) before we arrange a class. I don’t know if you do FB but if so here’s a link to the group https://www.facebook.com/groups/1565697756813893/ like the page and I’ll be able to message you if the possibles become definite!